For detailed information about all our events offered at the farm go to our Activities & Events pages. 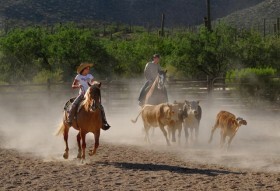 Great opportunity to work on your roping skills in a relaxed, family atmosphere. Come join the fun. Check our Facebook page for any updates. Click here to make a payment, or pay at the gate. Great opportunity for youth to learn skills for rough stock rodeo events. Check our Facebook page for any updates. $25 per person. Click here to make a payment, or pay at the gate.